Please remember to wear turquoise tomorrow to help raise awareness for CDH and the families it affects. It’s a simple way to spread the word! This year we are planning two of our fundraisers for 2010 to raise funds for the families that The Parker Reese Foundation supports and to raise awareness for congenital diaphragmatic hernia. We are very excited about what these events will do for CDH awareness and we cannot wait to share them with each of you. The first event we are holding is for the ladies, “Heels for Hope” which is a shoe decorating and designing contest. It will start February 21, 2010 and end March 21, 2010. Winners will be announced on March 27, 2010 and the prizes are amazing! This event is going to be something that even those of you who live far away can participate in! We are working through the final details of this event and once it’s all done we’ll post more. Until then get your shoes, beads, glue and creative brains thinking! Our second event will take place in April and is for the guys. It’s called Hoops for Hope and is a 3-on-3 basketball tournament which some great prizes and special guests. It’s a day event and open to any team who wants to enter whether you are local or in another state. There will be good food, entertainment and tons of fun! This event is still in the planning stages and once we are done we’ll post more on this event as well. We will be hosting two other events and we’ll disclose those late summer. Check out Caden! He is quite the superstart these days! It’s so amazing what these CDH kiddos are doing to bring awareness to this horrible birth defect. We are so proud of Caden! EVERYONE can participate! Even those who live far far away. So get your shoes (must be high heels), beads, sequins, ribbons all in turquoise ready for a spectacular event that will help bring awareness to CDH in a glam way! The prizes are amazing folks! I promise to update next week about this event as we are having a meeting tonight. Our logo for this event is completely and totally awesome! Thanks so much, Shauna! You rock girl! Caden Parker is making the news! 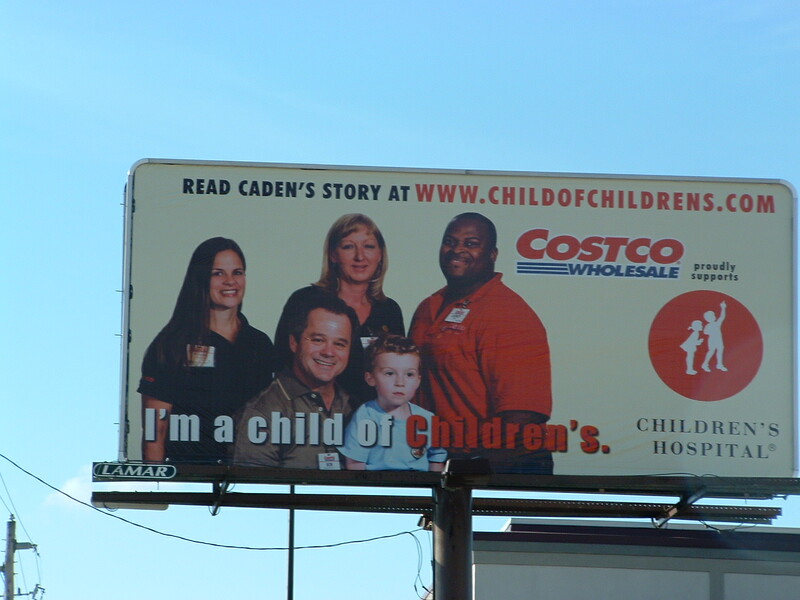 He is featured on the Children’s Hospital of Alabama’s website, in the newspaper and on billboards! It is so amazing that these CDH babies are making huge strides for CDH by bringing awareness to such a horrible birth defect! Jennifer is going to try and get pictures of the billboards today and once I get them I’ll post those as well. For now go take a look at the website!